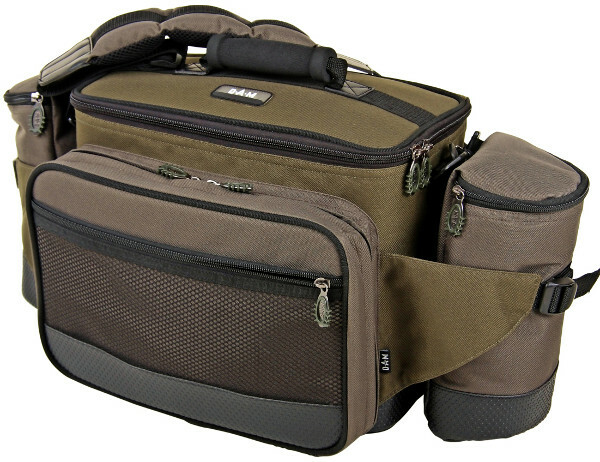 The Multi-Purpose Bag from DAM is perfect for safely transporting all of your gear to the water. The bag features a spacious main compartment with sturdy zipper. The front pocket is perfect for your pliers, tackle boxes, phones and other small items. The practical detachable side pockets are perfect for vacuum flasks, cans and other items. The bag is made of sturdy nylon and features a well padded shoulder strap for maximum comfort. It can also be used for other outdoor activities.